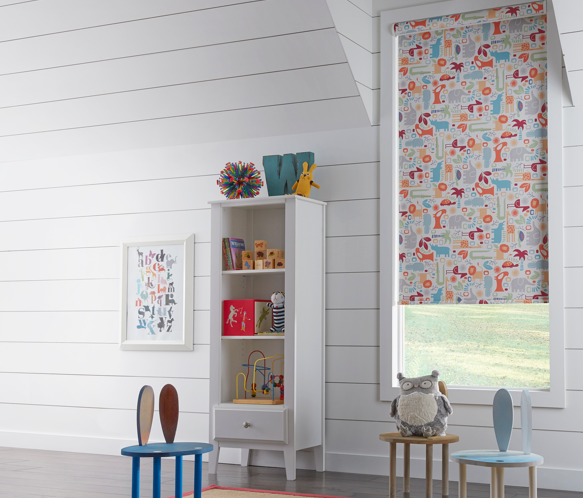 At Jan's Custom Window Fashions, serving Mid-Michigan, Genesee and Oakland Counties, and beyond, we offer window shade products from top brand names like Hunter Douglas, Comfortex, and Lafayette to fit all styles and budgets. Our experienced design consultants are here to assist in your next design project, small or large, with quality cellular shades, sheer shades, roller shades, roman shades, woven, and pleated shades. Your window coverings are a big investment, but Jan's is here to help you make the right decision for your home. Shades are different from blinds because they're made up of one fluid piece of fabric instead of individual slats, but are offered in a variety of styles and materials so you can achieve the look you want. Shades are a great choice for those looking for energy efficiency, window insulation, and an impressive range of light control. Cellular or honeycomb style shades, for instance, have pockets that can better contain hot or cold air. The expert consultants at Jan's can help you choose the ideal solution for your needs. We carry many shade styles to choose from including cellular, honeycomb, sheer horizontal, roman, woven, pleated, screen, and roller to perfectly accent any home. These styles can be customized to your preference with our wide collection of colors and materials including designer fabrics. Our design consultants would be happy to provide a mock-up photo or rendering of your windows so you can make a selection that you'll love for years to come. Don't know what type of window covering product you're looking for? 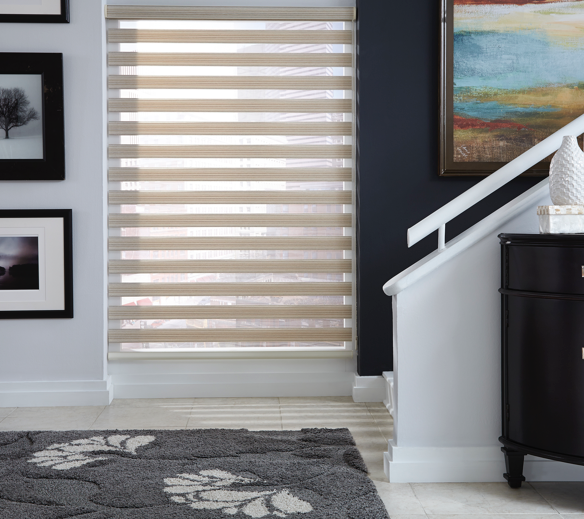 Explore photos of our product selection including shades, shutters, and drapery.